Modernisme, not to be confused with Modernism, was the collective name given to an art, architecture and literature movement which emerged around the turn of the 20th century and centered around Catalonia. The movement is equivalent to the Art Nouveau style going on in France and Belgium around the same time. Modernista architecture can be recognized by its use of curves rather than straight lines, ornate decorations, bold use of colors and floral motifs. 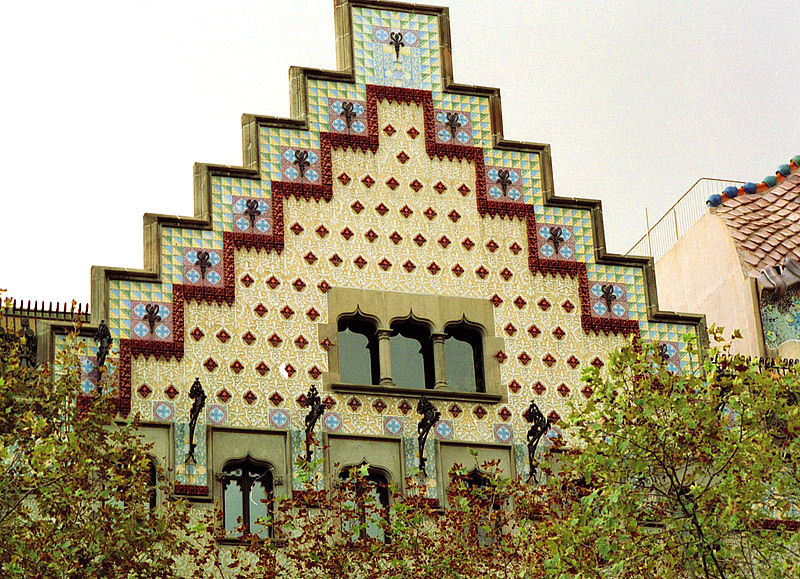 Famous Modernista architects include Antoni Gaudí, Lluís Domènech i Montaner and Josep Puig i Cadafalch. Here are some of the movement’s most outstanding buildings. This UNESCO World Heritage concert hall was designed by architect Lluís Domènech i Montaner and is one of the most impressive Modernista buildings in the city, both inside and out. 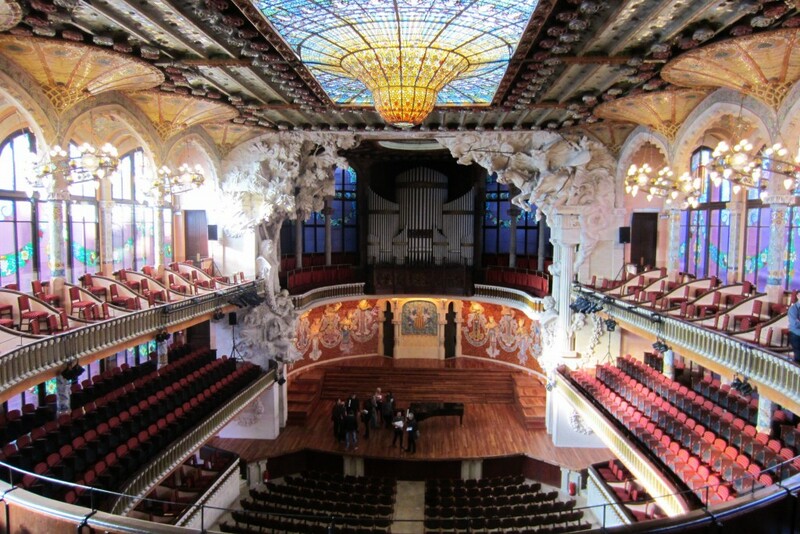 Built between 1905 and 1908, the Palau de la Música comprises a central metal structure covered in glass, so as to let natural light into the venue itself. From the outside, you’ll see the palace’s impressive rose-colored façade, adorned with floral mosaic columns, stone sculptures and the busts of several famous composers such as Bach and Beethoven. Inside, however, is just as impressive, with stained glass windows and ceilings, stone carved staircases and wrought iron lamps, each part created by well-known artists within the Modernista movement. Visit the inside either on a guided tour or by buying tickets to one of the frequent concerts held here. 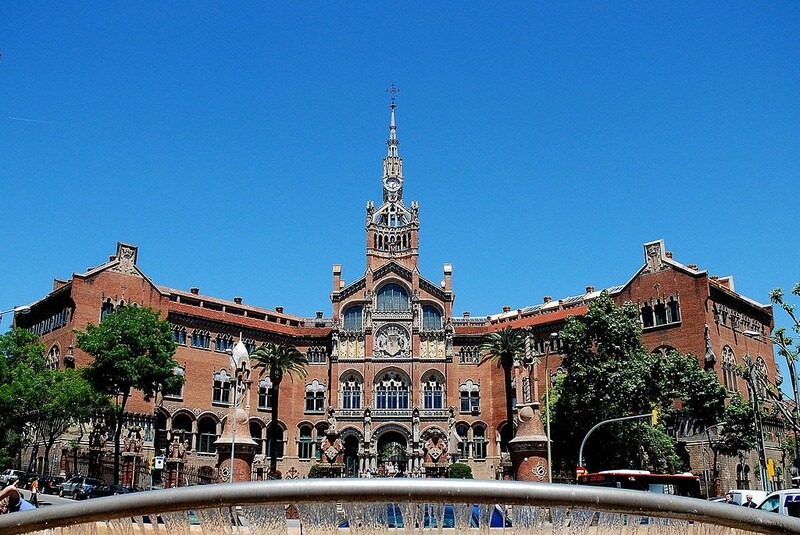 The largest Modernista complex in the world, this is not your average hospital. Again, designed Lluís Domènech I Montaner, it was built between 1901 and 1930 as a collection of gardens and pavilions in which to heal the sick. Having only reopened to the public in 2014, today visitors can tour the grounds, admiring its unique buildings, filled with patterned tiles, bold mosaics, and colorful stained glass windows. 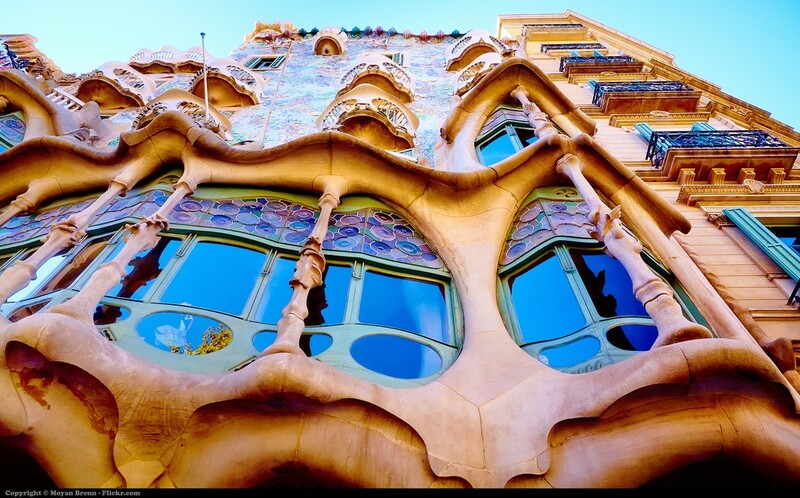 One of Antoni Guadí’s most iconic and celebrated buildings, Casa Batlló sits along the classy Passeig de Gràcia. Remodeled from a previously existing house between 1904 and 1906, its undulating, iridescent blue and green façade is quite a sight to behold. Covered in mosaic tiles and stained glass windows, the building is topped by a ridge of scales and a single turret with a cross, said to represent the sword of Saint George (patron saint of Catalonia), being plunged into the back of the dragon. Inside, visitors can see the magnificent Noble Floor (where the Batlló family resided), the impressive stairwell and the roof terrace, decorated with four whimsical chimney stacks. Standing next to Casa Batlló, Casa Amatller is sometimes overshadowed by its neighbor. However, with its Dutch-style façade, bold chocolate patterns, and ornate windows, it’s hard to ignore. 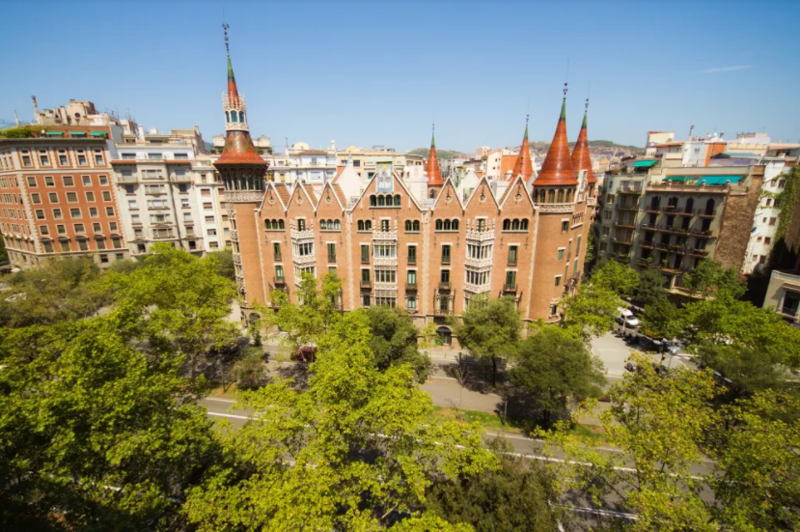 Designed by Josep Puig I Cadafalch – a contemporary of Gaudí’s – it was also refurbished from an older building and redesigned between 1898 and 1900. Both on the outside and the inside, the building features work by some of the finest Modernista sculptors and artists, including Eusebi Arnau and Alfons Juyol. Now a luxury five-star hotel sitting at the top of Passeig de Gràcia, Casa Fuster was architect Lluís Domènech i Montaner’s last design in Barcelona and was built between 1908 and 1911. Considered to be one of the most expensive edifices in the city, it’s adorned with white marble tiles, many wrought iron balconies, slate and ornate stone carvings. The building was a gift from the Mallorca aristocrat Mariano Fuster to his wife Consol Fabra and still bares her initials on the side. 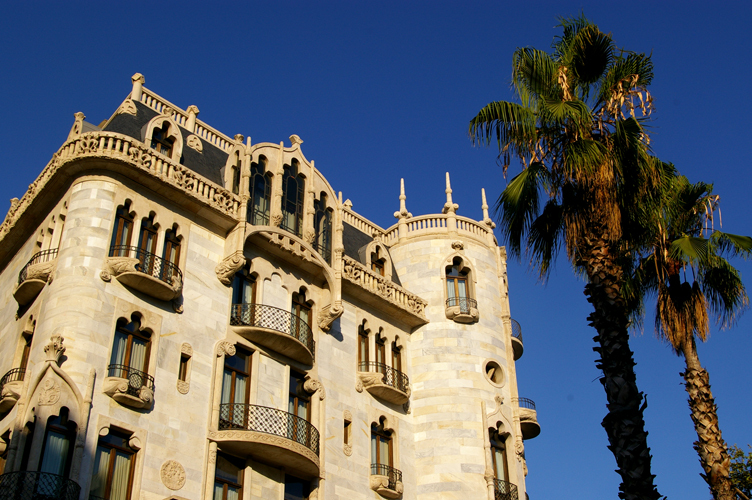 Having just opened to the public in 2016 for the first time in 100 years, Casa de les Punxes (‘House of Spikes’) is an important emblem of the city. The building started off as three separate houses, owned by the Terradas sisters, who decided to ask architect Josep Puig I Cadafalch to refurbish the buildings and join them all together. The result was a Modernista twist on a medieval Gothic-style castle, topped with fairytale turrets. Both on the inside and out, the house is filled with artistic elements such as stained glass windows, wrought iron work, and sculptures, designed by famous Catalan artists and craftsmen such as Enric Monserdà and Alfons Juyol.